Fulvio Obregon is a Colombian graphic artist that focuses mainly in Illustration, Digital Art and Character Design. His work has been quite popular in social media, thanks to the Me & My Other Me project. 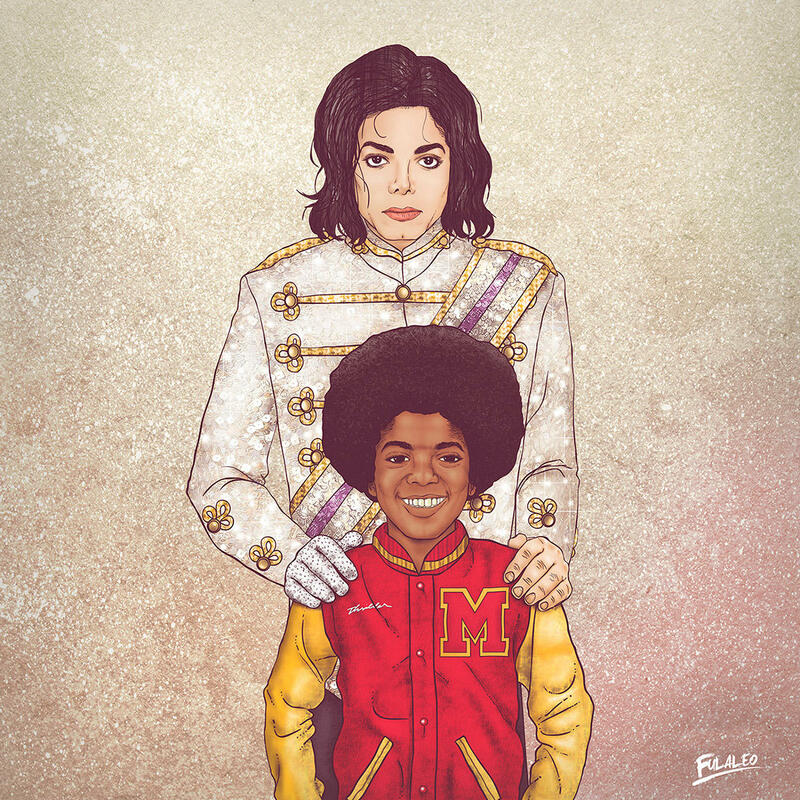 He creates beautiful illustrations that feature celebrities and pop culture personalities. 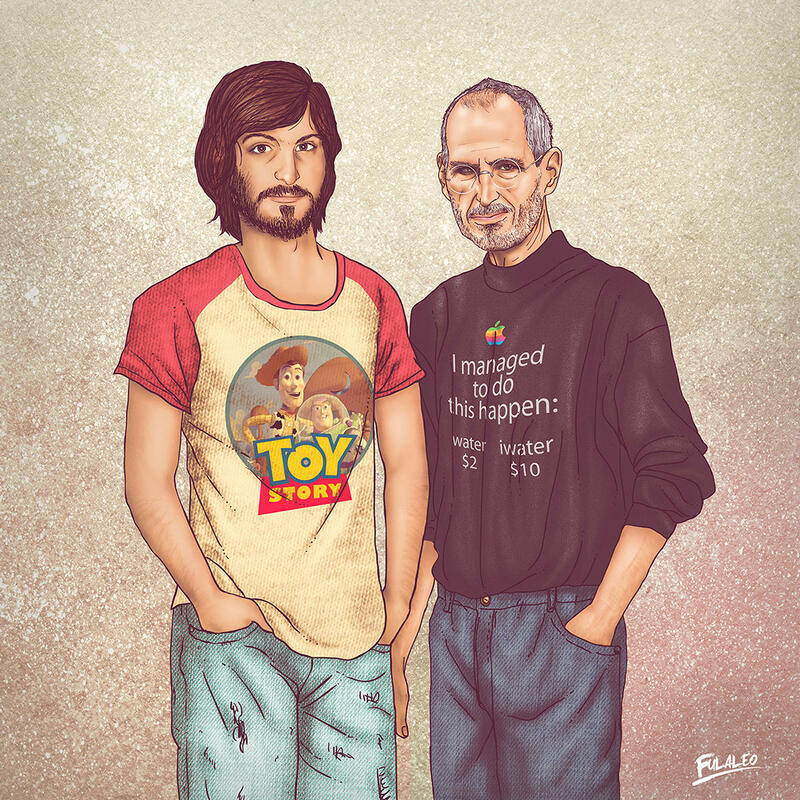 Obregon created a project called Me & My Other me, that combined the young and the new versions of some popular personalities such as Steve Jobs, Mick Jagger, Madonna, Dolly Parton. 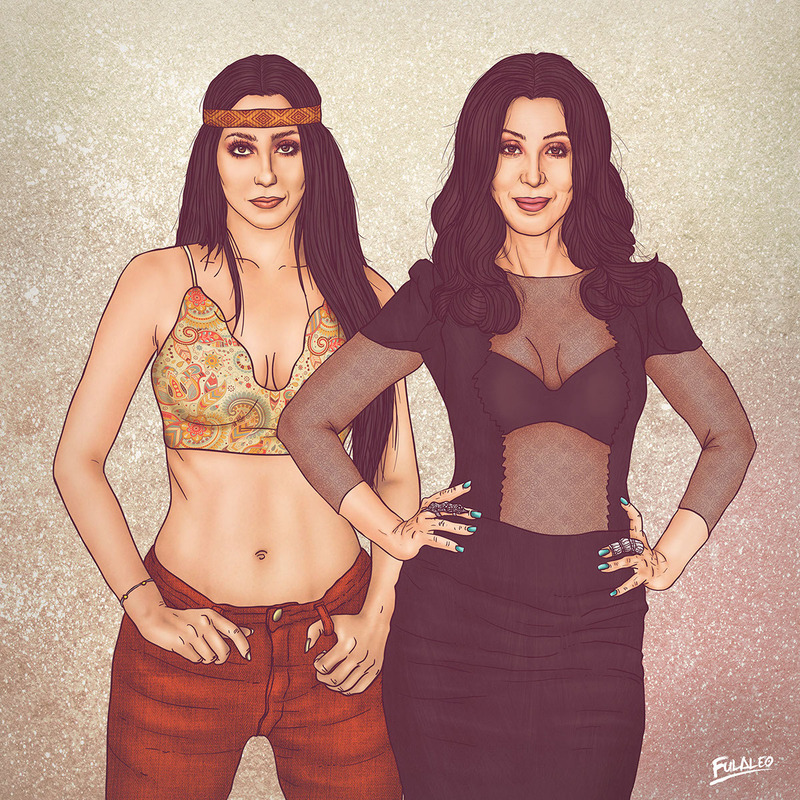 In every drawing, there is the young version of the person, side by side with the present version. Some are not that obvious, like Michael Jackson, for example. In every illustration, there is some element related to the career or life of each person. This project began after Obregon saw a photo of a cousin . It was a collage of her as a child with her present look. Then the idea was matured, and he began working on this. 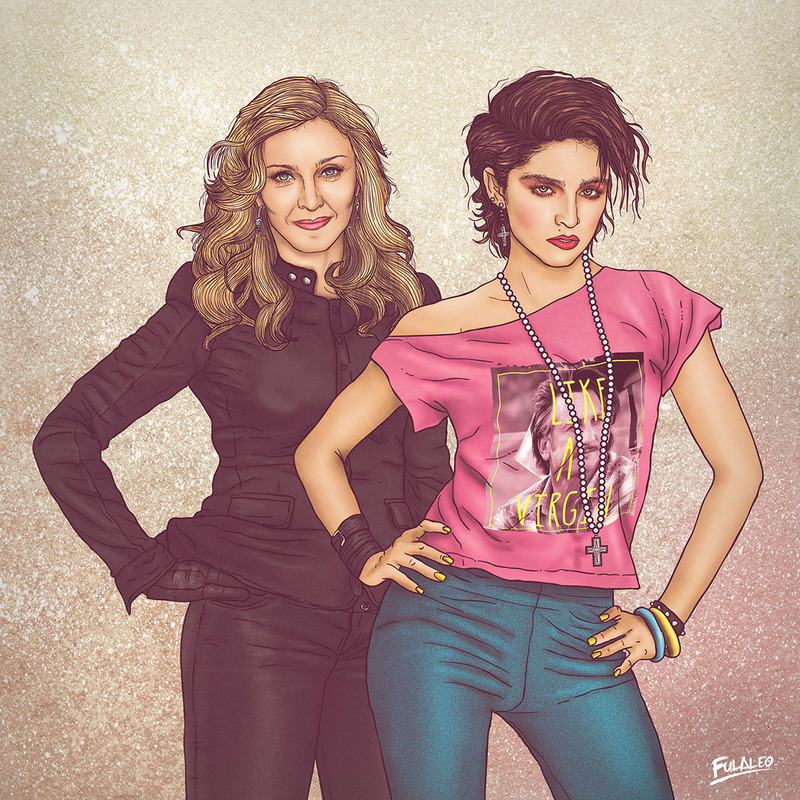 At first, Fulvio Obregon just created illustrations of males, but recently, he uploaded into his Behance page Me & My Other me part 2, in which he features some power women as well. These illustrations are really beautiful and make us think about the changes we go through during our lives, not only physically, but inside.